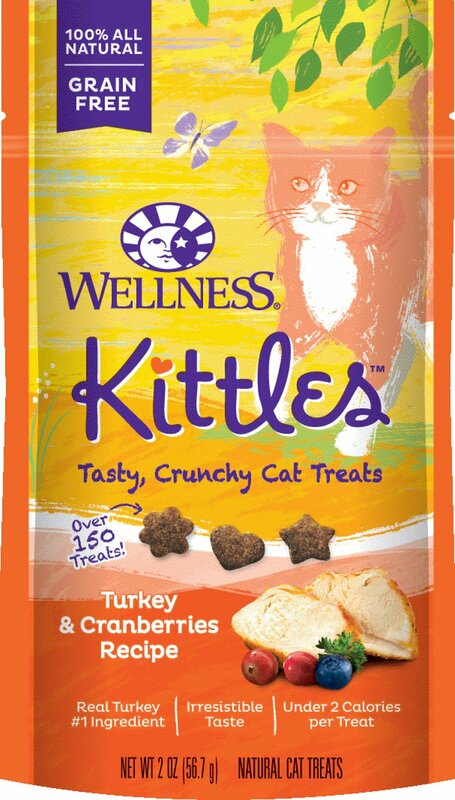 Treat your kitty to a tasty treat he can really savor with the Wellness Kittles Grain-Free Turkey & Cranberries Recipe Crunchy Cat Treats. Made with high-protein turkey as the first ingredient plus wholesome goodies like peas, blueberries and cranberries, it satisfies your pal’s munchies while adding a boost of nutrition in every crunchy bite. 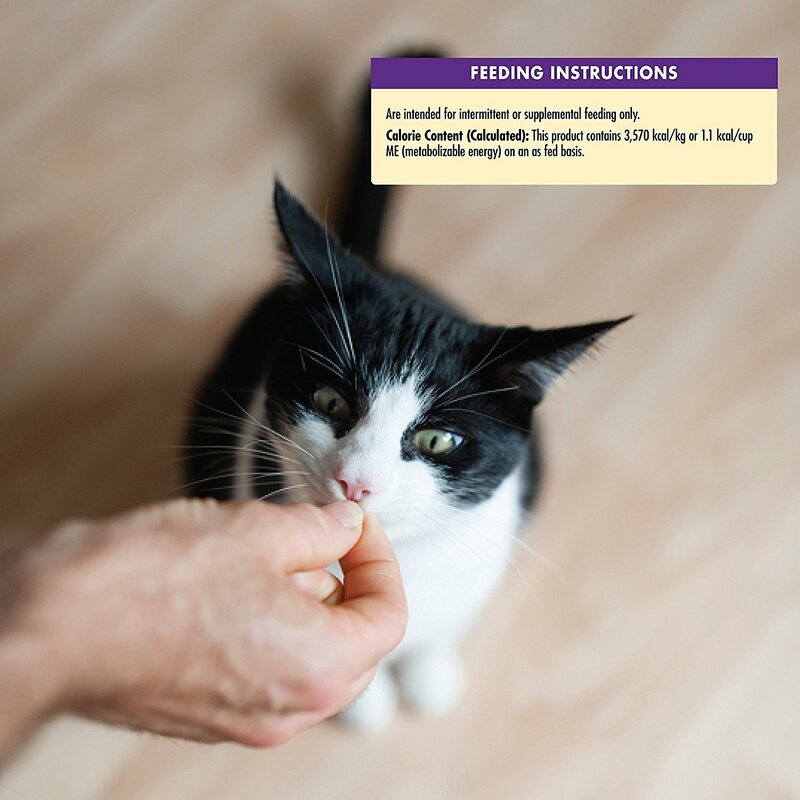 Plus, the crunchy texture supports healthy teeth by helping to scrape tartar and clean teeth as your kitty chews. And at less than 2 calories per treat, it’s great for anytime snacking or anytime your buddy deserves a scrumptious reward. Give them straight out of the package or toss them to give your kitty the tasty thrill of the chase! 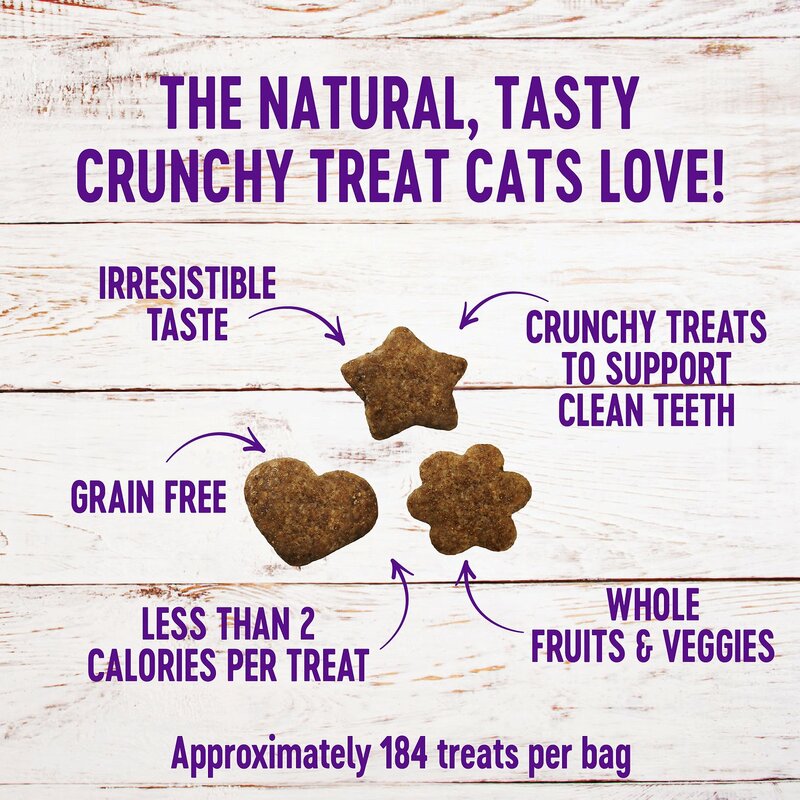 100% all-natural and grain-free crunchy treats are made with protein-rich turkey as the first ingredient. 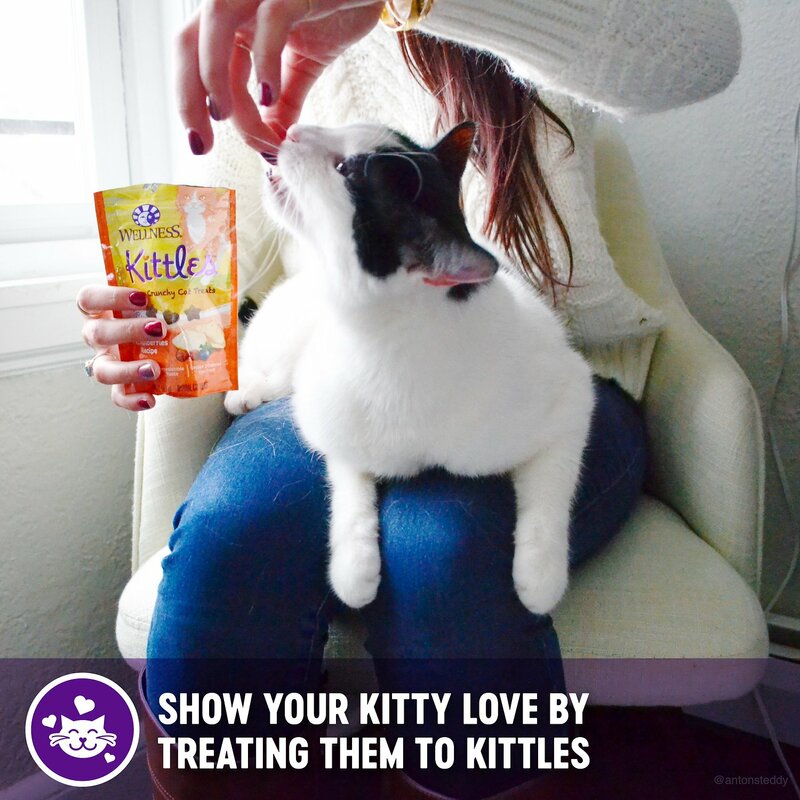 Each stay-fresh resealable package has over 150 treats purr-fect for longer-lasting treating and snacking. 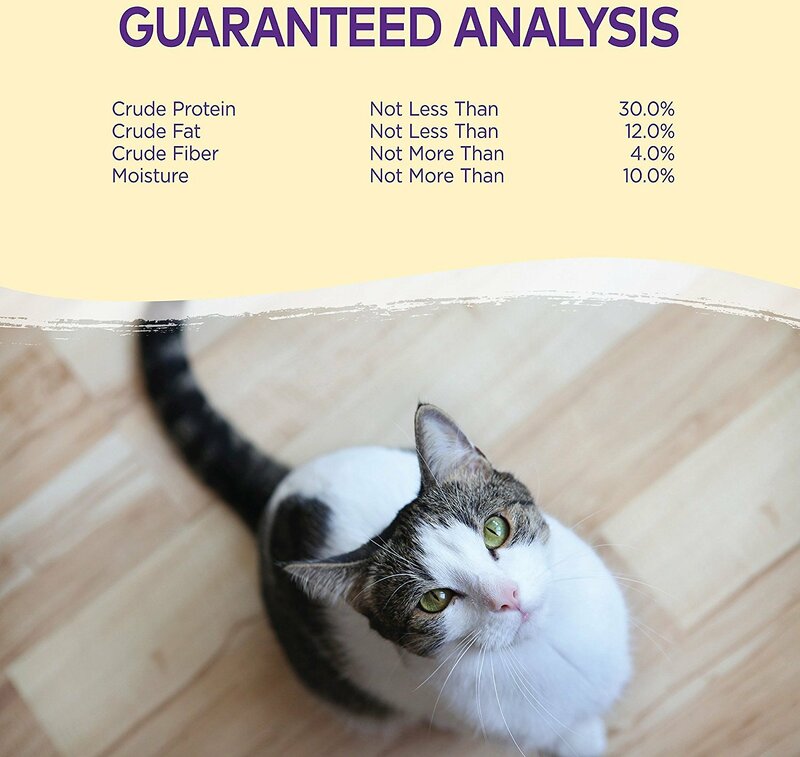 Wellness Kittles™ Cat Treats are intended for intermittent or supplemental feeding only. As soon as I opened the bag, my cat came running down stairs. She loves them more then the temptations chicken flavor treats I have. 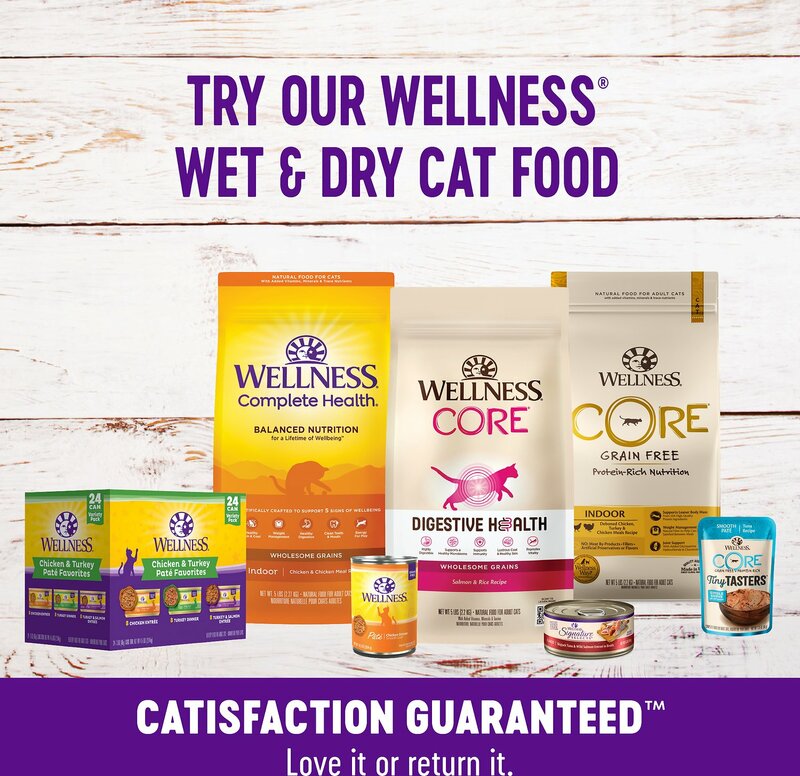 I decided to buy these treats because I have been feeding her the wellness wet food for about three years now. She is a older cat, age 15 years, with a sensitive stomach and barely any teeth left. I have noticed that these treats are thinner and not as hard as the temptations treats. 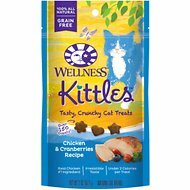 I would highly recommend these treats not only for am older cat but also young ones. These treats are on the healthier side after all. My cat's love all the flavors of this brand. They gobble the treats down. However I limit how much I give them. If I ever need to get my cat's attention, all I have to do is shake the bag...LOL I love Chewy because they hold to their service. My cats ate them but didn't seem very excited about them. I probably won't buy them again. Magpie Lily absolutely loves her treats! Wellness is the only brand she eats. I bought these for a Christmas gift and my cats loved them so much that I had to get more. I also have these in chicken flavor, but they like this flavor more. 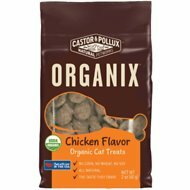 Changing my nine cats’ diet includes taking them off chicken treats. These have been well-received! Big hit, even with the cranky ginger tom. Crunch & munch time here! Small crunchy healthy treats are a hit! Both of my young female cats love these treats. I wish there was an option for a larger bag! 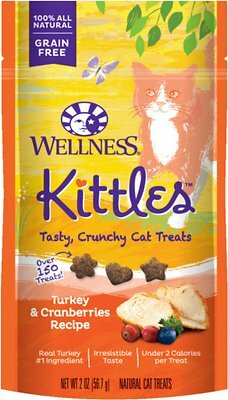 I bought a couple different flavors of these wellness treats and my cats won’t eat them. I gave them to my mom for her cats and she didn’t have any luck either.